An organ system is a group of anatomical structures that work together to perform a specific function or task. Although we learn about each organ system as a distinct entity, the functions of the body’s organ systems overlap considerably, and your body could not function without the cooperation of all of its organ systems. In fact, the failure of even one organ system could lead to severe disability or even death. 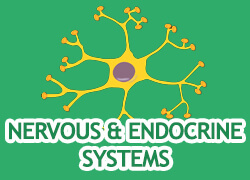 Within this section we will explore the major organ systems including both their structure and function. The contents within this section closely follow the AAMC section: Biological and Biochemical Foundations of Living Systems: Content Category 3B.